These slipper boots are so cozy! 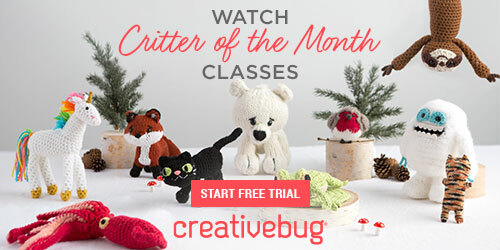 They’re the perfect crochet project for beginners! Experienced crocheters will have these completed in a flash! 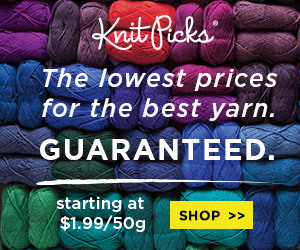 The secret is the thick, luxurious and chunky yarn and basic stitches. 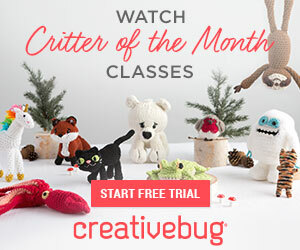 Yes, if you’re a fan of crochet footwear for yourself or for members of your family or to give away as gifts, you’ll definitely want to check out this wonderful — and free! — pattern. 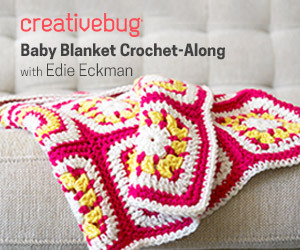 It’s by famed crochet designer Jess of Make & Do Crew. It’s the “Crochet Mukluk Slippers” pattern. The Mukluk-boot style translates beautifully into crochet. You’ll get plenty of warmth at the fraction of the cost of what you’d pay for a store-bought equivalent (assuming you could even find something so lovely and creative!). If you’re at all familiar with Jess’ work you know she has created many innovative and unique patterns for all kinds of footwear, many using flip flops as the sole. Yes, from espadrilles to moccasins, she’s covered the gamut. This pattern is a winner! You’ll get the full rundown on what you need — the recommended yarn, many helpful tips, tutorials — you name it, she’s got you covered. The beautiful texture comes from the crochet moss stitch (a.k.a. linen stitch or granite stitch) which she walks you through, in case you are unfamiliar. You can also check out the moss stitch tutorial YouTube video we’ve posted below This is an achievable project for everyone! As promised, an excellent moss stitch tutorial for both right-hand and left-hand crocheters! For even more fabulous and free crochet patterns for of DIY footwear for all ages, be sure to check out some of our other favorites here at Crochet Maze. You’ll find the links below! do you do video’s also?? I can’t read a pattern to save my life! !